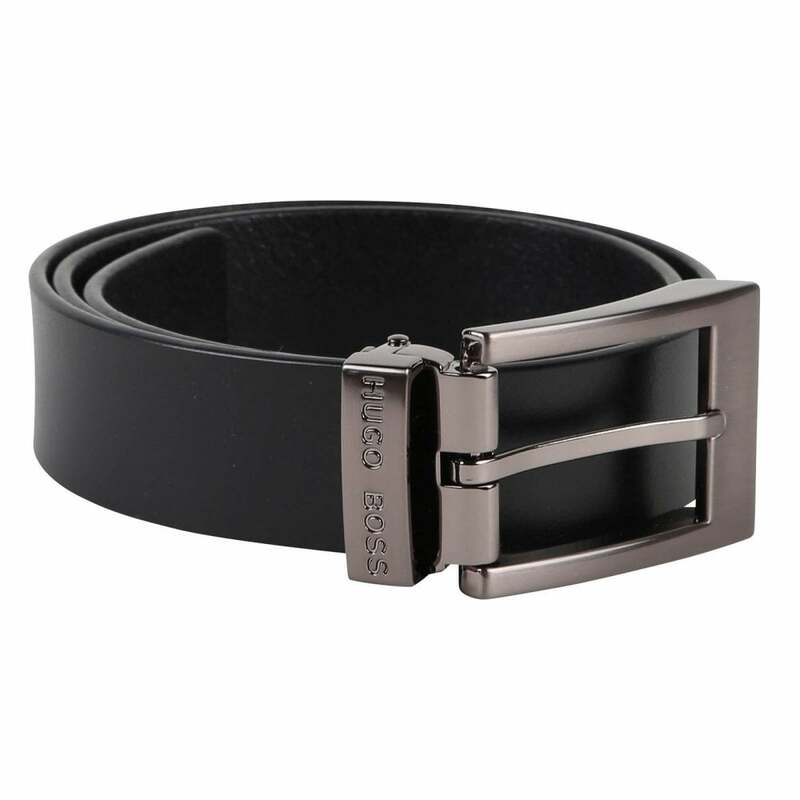 This Boss Belt is 100% leather and is black in colour. It has a metal buckle and a metal belt loop. Boss branding appears embossed on the belt loop.